It’s no secret that Republicans want to replace Obamacare with another option. According to polls, 53% of Americans disapprove of ACA, and 45% have shown their approval. With the public as well as party lines divided on the issue, some have suggested the “repeal and replace” policy, but this is equally controversial. The debate lies in which plan Republicans intend to implement in its stead. Pulling out abruptly could cost millions of near poverty-line members their coverage, and relying on everyone to get their act together in time to replace it with a suitable option simply because a deadline is looming suggests a desperate attempt to make a statement. 2017 will bring many changes to healthcare policies, and Trump’s incoming health cabinet picks give us a clear picture of what direction those policies will take. Sylvia Burwell managed the second open-enrollment period for healthcare insurance, expanding Medicaid and opening the marketplace. Burwell’s focus for ACA was affordability, access, and quality, achieving 20+ million new members over the course of her term. Flexible policy packages would shift the balance of coverage. This is more advantageous for younger, healthier patients, eliminating essential health benefits package, thus allowing people to cut benefits they don’t want or need for cheaper plans. Premiums are projected to rise for the elderly, making it harder for them to afford coverage. The upshot of this policy alteration would mean that more young people sign up for care, but fewer elderly patients will remain with coverage. Exchanging elderly patients for younger ones will not increase coverage, and it may even reduce the need for quality coverage since members will be younger and healthier. Members who may not necessarily need the medical care will be covered while seniors who generally require more assistance will be left without a plan. However, age-adjusted tax credits will help the elderly better afford coverage. The Medicaid expansion program is a hot topic. Under Empowering Patients, the program would end, excluding millions of low-income patients from coverage. Without a suitable replacement, this could cripple the American public. Both Price and Burwell sought to substantiate HIPAA rule enforcement, but in different ways. 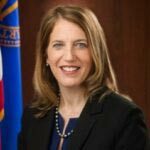 Burwell opened “listening sessions” putting stakeholders together with the HHS to air policy complaints. 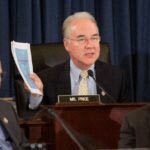 Price, on the other hand, elects to revert back to pre-ACA appealed laws such as eliminating the ability for insures to find alternative mechanisms and policy refusals. In a nutshell, Price’s goal for new healthcare reform is to transition the current marketplace towards value-based care vs. the fee-for-services. This would be a marked improvement, utilizing coverage payment as incentives to provide better care. Another clear debate is the CMS pick. Seema Verma is the President-elect’s choice for Centers for Medicaid and Medicare Services, after a successful career implementing healthcare reform for the state of Indiana. Verma wants to keep monthly payments low for healthcare coverage with a strong lockout policy for negligent participants. Under Verma’s lead, the ACA would be repealed, and other changes would involve giving individual states more flexibility in policy-making, and limiting federal Medicaid spending. Obviously this varies greatly from Andy Slavitt’s stance on healthcare. 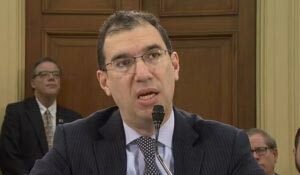 Slavitt has voiced his concerns over pulling the plug on ACA without a suitable replacement. His goal was health equality, increasing accessibility physically, financially, and linguistically. Verma and the new cabinet are concerned with creating more quality care, delivering the proper provisions to those who need it. 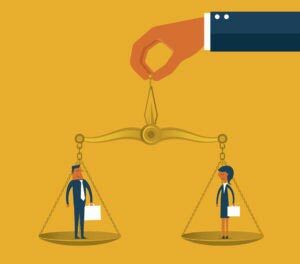 Undoubtedly, healthcare compliance officers will feel the impact of these changes. Enforcing policies, implementing new systems, and changing coverage limitations will seriously affect the responsibilities that fall on these officers of healthcare compliance. Having a physician in charge of HHS policy making could be a positive change for patients. Whatever provisions actually get voted in, one thing is clear: according to Thomas Scully, a former administrator for CMS, “There is going to be a complete and total policy war in Congress over the next few years.” The “winner” of that war will rein policy changes down upon the country. Let’s just hope that the American people don’t end up the losers after all.